Unwritten fact: pancakes make the best memories. Ever. Every family has their set of pancake preferences and pancake traditions. Just hearing the word “pancake” conjures up visions of weekend mornings spent with family and friends and the comforting, familiar smell of something delicious wafting through the house. Gluten-free pancakes are a major thing for me. I love them so hard that if I weren’t vain about my waistline, there’s a strong chance I’d eat a stack for all the meals. Sweet, savory, fruity, chocolate-y … no matter the flavor, I’m all up in their griddle. My favorite lazy Saturday morning breakfast? You guessed it: gluten-free pancakes. Recently, I began playing around with vegan pancakes. If you’re familiar with vegan baking, you’re aware of how easy it is to make a vegan egg. Simply whisking together ground flax meal with water and allowing it to sit for a few minutes creates a similar consistency to an egg, and allows you to make tasty vegan treats. 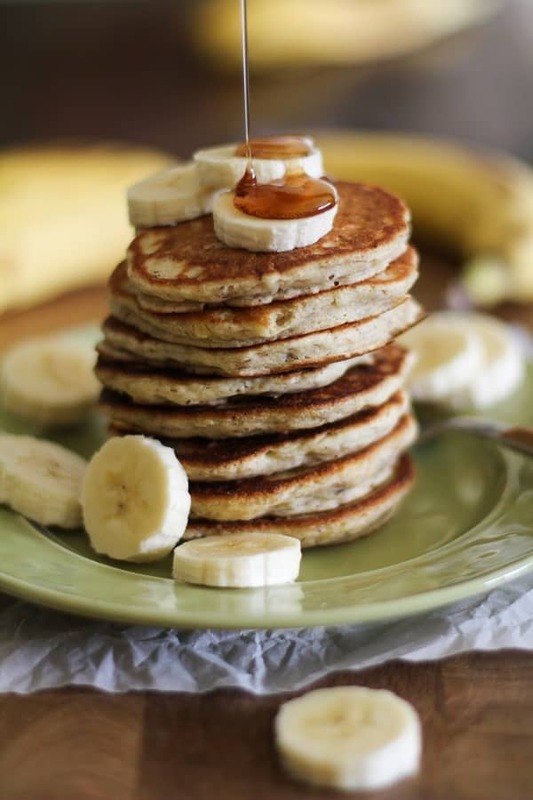 Mashing up a couple of ripe bananas and adding them to pancake batter is a great way of keeping your vegan pancakes moist and full of flavor. I used a gluten-free all-purpose flour for this silver dollar pancake recipe, but I have also used brown rice flour and a combination of almond meal and brown rice flour to make this very stack of hot cakes happen. Whatever your flour preference, you will surely achieve a delicious and satisfying pancake to add to your scrapbook of memories. Now go. Go make your pancake memories! 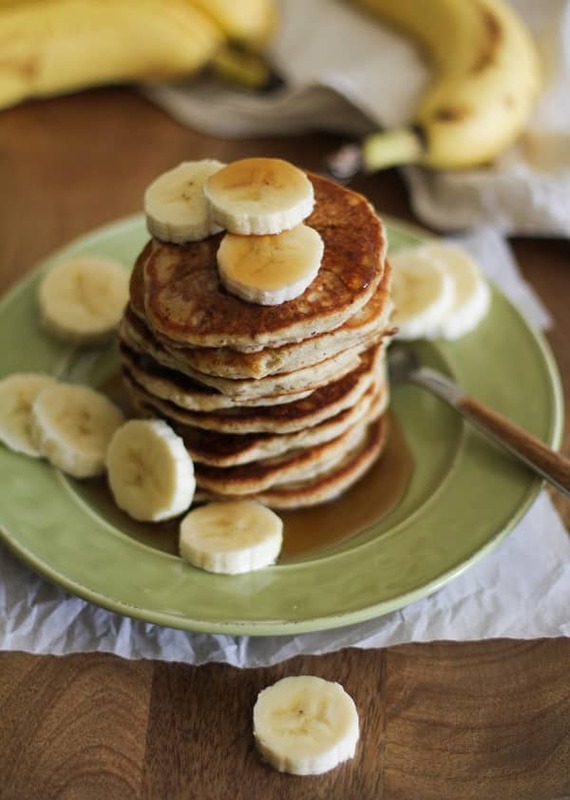 These cute little banana silver dollar pancakes make a delicious weekend breakfast. And bonus: they’re gluten-free and vegan too! In a small bowl, whisk together the ground flax seed and water to make a flax egg. Allow this mixture to sit and thicken while you’re preparing the rest of the recipe, about 5 to 8 minutes. In a mixing bowl, stir together the flour, baking powder, cinnamon, and salt. 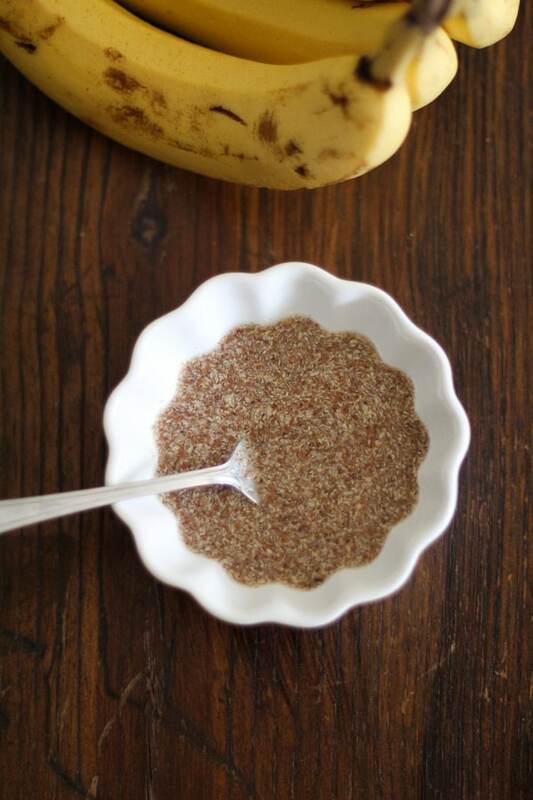 In a separate bowl, whisk the mashed bananas, almond milk, maple syrup, and vanilla extract together. Add the flax mixture (flax egg) to the wet mixture and whisk to incorporate, then pour the wet mixture into the bowl with the dry mixture and stir to combine. Heat a pancake griddle or skillet to just above medium heat. Add enough oil to coat the surface. Measure about 1/8 cup of batter and pour it onto the hot griddle/skillet until you run out of room, being careful not to crowd your pancakes. Cook until several bubbles rise to the top of the pancake and the sides firm up. Flip the pancakes and continue cooking until they’re cooked through, another minute or two. Repeat for remaining batter. Serve with sliced bananas, pure maple syrup, nut butters, jam, or your favorite pancake toppings. Just about any gluten-free all-purpose flour will work for this recipe, but use brands (such as King Arthur) that do not contain xanthan gum.